Over the weekend I put a few hours into the Battlefield: Hardline beta on the PC and, despite all the misgivings I had going into it I actually had a good time. The game is still several months out from release (Battlefield: Hardline comes out October 21) so having a honest to goodness beta instead of marketing tool disguised as one scored EA/Visceral some points. The Battlefield: Hardline beta only features one map (High Tension) and two modes (Blood Money and Heist) and a small selection of guns and gadgets but the infantry-focused combat might have won me over. I mostly played Blood Money during my time with the beta, and for those of you who aren’t familiar with this mode it’s basically a tug-of-war where the cops and criminals try to take cash from a central location back to their own personal vaults, with the team that reaches five million dollars first being the winner. You can steal cash from the other team’s vault to set them back, as well. High Tension is a small map, so running to the central objective and back to your home base can be accomplished quickly, even on foot. One of my major pet peeves in Battlefield is running or driving forever and dying before you can accomplish anything so the signs that Hardline might be moving away from this is a positive in my books. Guns and classes have been tweaked again and the cash you earn in-game by playing the objective and killing your opponents can be used to purchase gadgets or guns and attachments. You no longer have to wait to rank up to gain access to guns, you can buy them as soon as you have the required moolah. The same goes for gadgets and attachments, although you have to earn weapon service stars to unlock different categories. 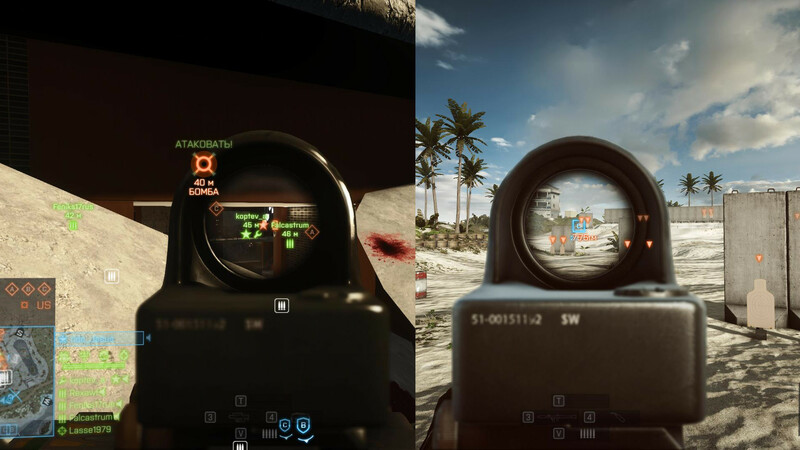 Battlefield: Hardline also fixes a lot of really small annoyances that have been in the most recent Battlefields like the HUD clutter when you aim down your sights (Hardline removes objective markers when you ADS) or the fact that the server doesn’t show you what map and game mode is coming up next. I dislike having to purchase the next game in order to get improvements that should be patched into existing games but at least it’s a step in the right direction. One thing I didn’t like about Hardline was the Armored Rescue Vehicle which is impervious to small-arms fire (unlike every other vehicle which you can blow up with regular guns) and carries a grenade launcher and two machine guns. Most people aren’t running with RPGs at this point, so a person in an ARV can dominate the map with little resistance. If the enemy team captures your ARV, then it turns into a slaughter. This post on the Battlefield: Hardline beta forums sums up why the ARV is broken right now. The Armored Rescue Vehicle being unbalanced was the only negative about my time with Hardline. I didn’t particularily care for Heist, although that might be because my team refused to play the objective. The criminal side spawns right on top of the bank trucks you need to break into and my team still didn’t bother arming the breaching charges. I know that’s not the game’s fault, but come on, PTFO. I’m resolute in waiting for launch-day reviews but Battlefield: Hardline did a good job impressing me with its limited beta. The smaller maps and infantry focused combat reminded me a lot of Bad Company 2 and if Visceral works out a few balance issues this game should be good to go (barring any launch day catastrophes). 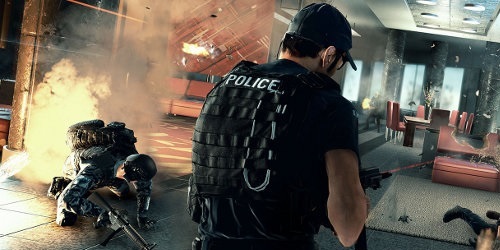 Did anyone else try the Battlefield: Hardline beta and for what platform? I don’t know why so many people are nay saying this game, I saw that demo and was immediately on board. So many shooters these days have the same gameplay styles and game modes that the idea of making GTA V style heists in Battlefield’s gameplay sounded like an amazing concept. Plus as you mentioned Mitch, I really like that they’re doing the beta now rather than one damn months for the game ships (which in turn in like one week before the thing goes into certification). This is definitely on my must buy list for the Fall.